Fantastic Beasts: The Crimes of Grindelwald is bringing a new Harry Potter themed soundtrack to the masses this holiday season, so you can put the music on while you cook Thanksgiving dinner and pretend you're having a good old fashion Hogwarts celebration. Full details about this release have been released, with the score hitting digital, vinyl and CD next month. The Fantastic Beasts 2 soundtrack and score features all-new music from grammy and Emmy award winning composer James Newton Howard. There are two new track available for streaming right now. They include the title track and a piece of music called Salamander Eyes. WaterTower Music today announced the details of the original motion picture soundtrack for Fantastic Beasts: The Crimes of Grindelwald, the second of five all new adventures in the Wizarding World created by J.K. Rowling. The film will be in theaters November 16, 2018. Grammy and Emmy Award winner and multiple Oscar nominee James Newton Howard (Fantastic Beasts and Where to Find Them, The Hunger Games franchise) returned as the Fantastic Beasts composer, creating a robust, 25-track soundtrack which will be available to stream and purchase digitally November 9, 2018. In addition to the score, the soundtrack will treat fans to three solo piano cues performed by James Newton Howard and not heard in the film: "Dumbledore's Theme (Solo Piano)", "Fantastic Beasts Theme (Solo Piano)" and "Leta's Theme (Solo Piano)." Those three tracks are scheduled to be released October 26, 2018. Describes composer James Newton Howard. "To work on Fantastic Beasts is a wonderful musical opportunity. 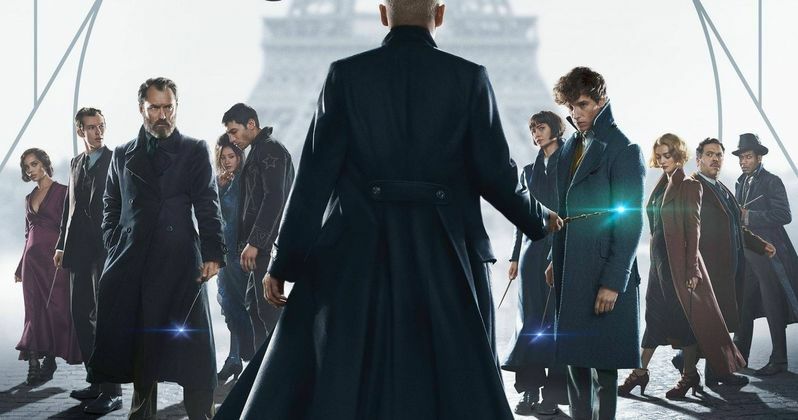 The movie is delightful, substantial, and complex; and [director] David Yates focuses very seriously on the music and is a truly passionate and enthusiastic collaborator." The film features an ensemble cast led by Eddie Redmayne, Katherine Waterston, Dan Fogler, Alison Sudol, Ezra Miller, Zoë Kravitz, Callum Turner, Claudia Kim, William Nadylam, Kevin Guthrie, Poppy Corby-Tuech, Brontis Jodorowsky, with Jude Law and Johnny Depp. Fantastic Beasts: The Crimes of Grindelwald will be distributed worldwide in 2D and 3D in select theatres and IMAX by Warner Bros. Pictures. This film is rated PG-13 for some sequences of fantasy action. You can find out more at FantasticBeasts.com.